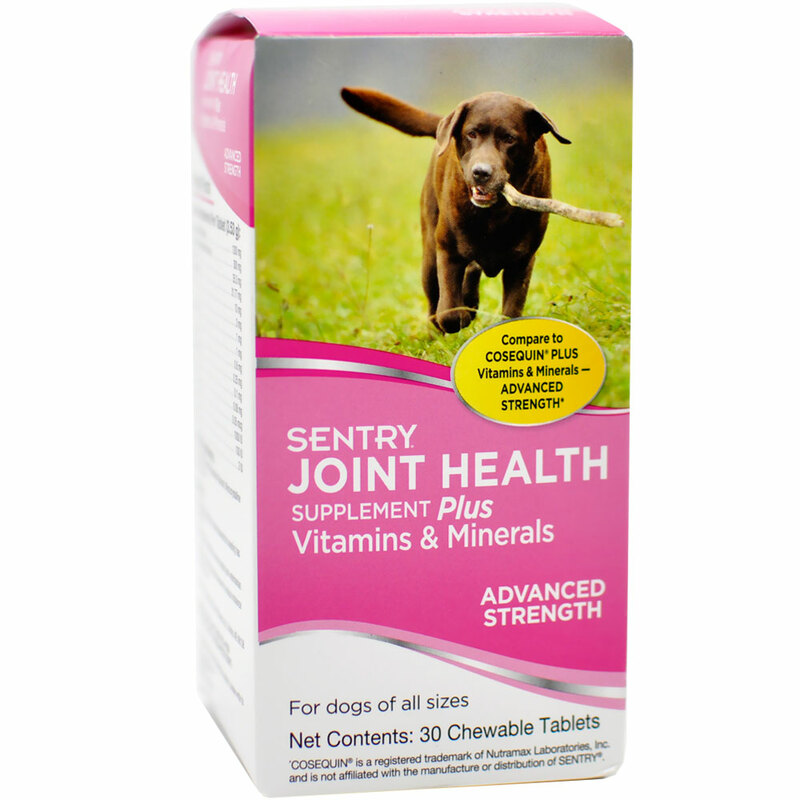 SENTRY Joint Health Supplement Plus Vitamins & Minerals, Advanced Strength is made for dogs to help support joint health with glucosamine and chondroitin – ingredients that assist in lubricating joints and maintaining healthy fluid pressure. 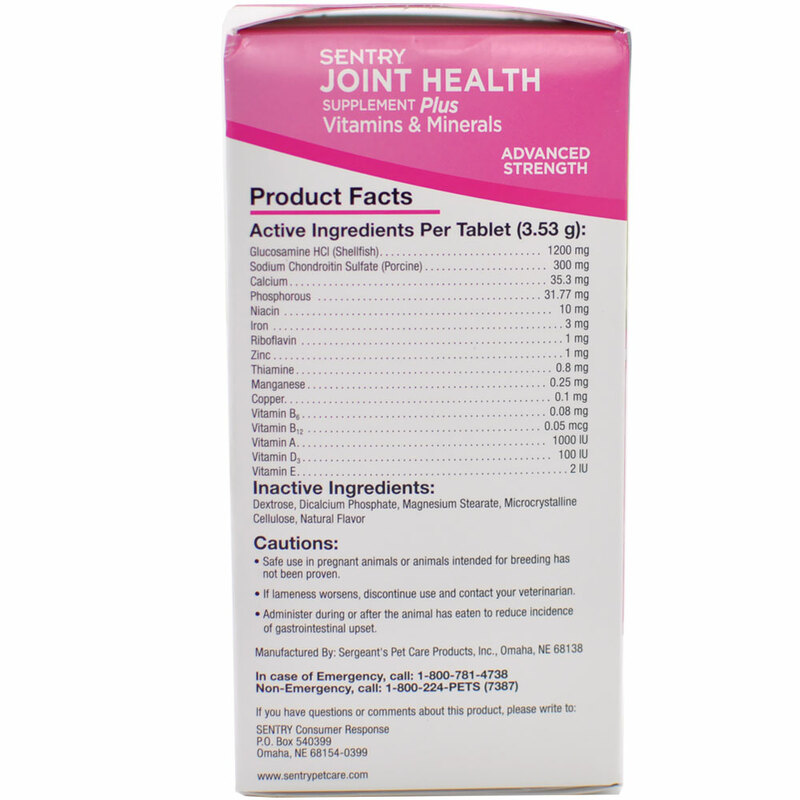 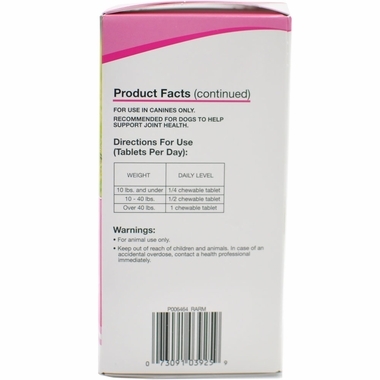 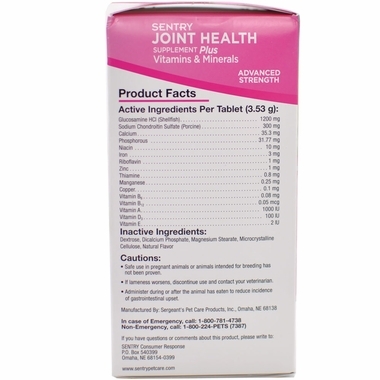 But the benefits don’t stop there: SENTRY Joint Plus also contains 14 vitamins and minerals for healthy bones, teeth, and overall nutritional health. 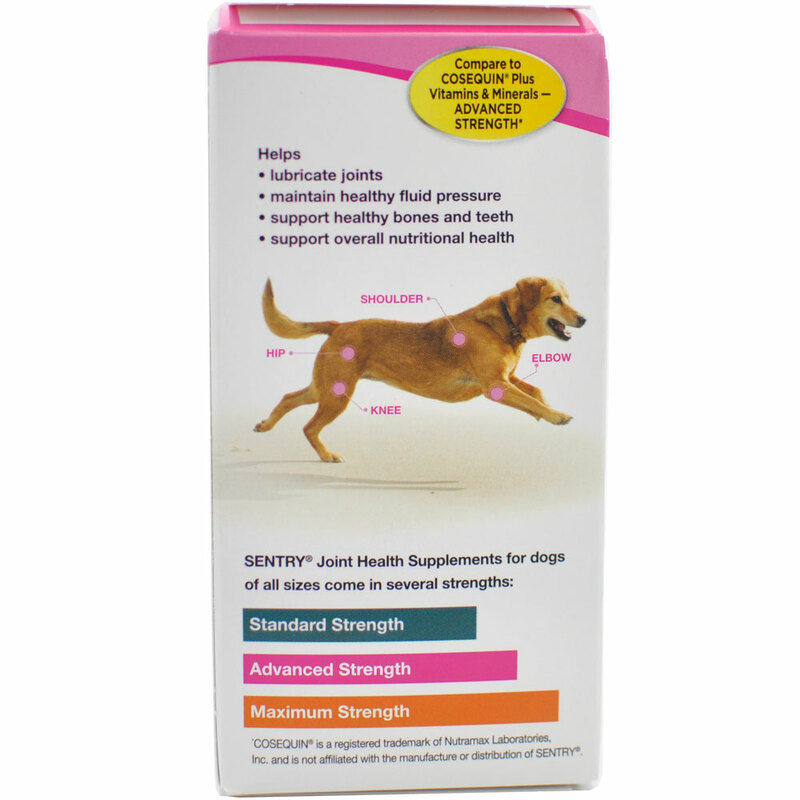 SENTRY Joint Supplement Plus Vitamins & Minerals come in chewable tablets that can be given to your dog by hand or crushed and mixed into food. 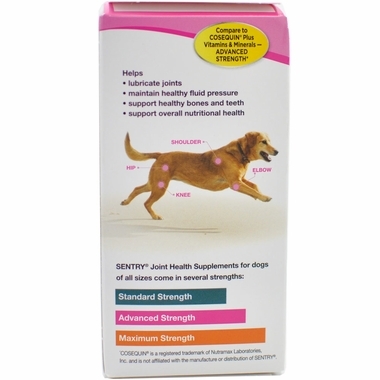 It’s safe for dogs of all sizes.